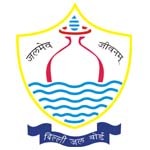 Delhi Jal Board Employment News for the post of Junior Law Officer in New Delhi. Applicants who are interested in this job may apply on or before 15th December 2015. Education/ Qualification: Applicants applying for this post must possess Graduate degree in Law, with working experience as a Legal Practitioner or 3 years of working experience in Legal work. Procedure to apply: Applicants who are interested in applying for this job must send their job application in prescribed format at the address mention below along with all the relevant documents.